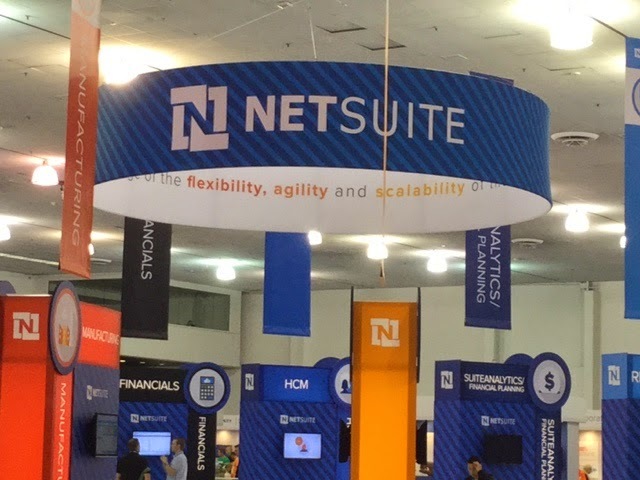 If you haven't caught some of our recent tweets or posts, team Pacejet has been out in San Jose all week attending NetSuite SuiteWorld. This year's SuiteWorld included more than 7,000 attendees, was packed with education sessions and product updates, and included good keynote sessions to give all a little more insight into all things NetSuite. We thought a quiick recap of the event might be of interest to all our readers since NetSuite directions are a good barometer of broader industry trends and developments in cloud-based business systems. The 'end of the beginning' messaging was a clever NetSuite theme this year, suggesting that cloud ERP has reached and passed the 'tipping point' to become the dominant way software business systems will be delivered going forward. NetSuite shared growth numbers of 46.6% for the year which looked stunning compared to negative growth at other major software ERP providers, they appear well on their way to becoming the first billion dollar, pure-play, cloud ERP provider. Whatever your take is on NetSuite, the company appears to be doing many things right. The keynote sessions were held in a round, town-hall style theatre this year, strange at first but it became more natural and effective as they moved forward with the presentations. Customer wins and successes at larger accounts dominated the sessions. Partnerships such as the move to use Microsoft Azure (instead of Amazon Web Services) and the integration with Office 365 were a few surprises of the event. Stats like $149B in orders managed on NetSuite, the addition of new datacenters, and international expansion were also covered. While not as aggressively competitive as past keynotes (which I've always thought were fun), the sessions were well executed and informative. As time goes on and more customers signup, NetSuiite seems to be stretching their lead against ERP competitors. Just maturing the process of upgrading 24,000 customers enmasse through two releases per year is a standout accomplishment. I cant't think of one software ERP vendor coming anywhere near that level if innovation velocity; it's impressive to watch. Legacy software vendors still have a feature 'moat' built over decades of software release cycles but NetSuite is catching up faster than many might realize. 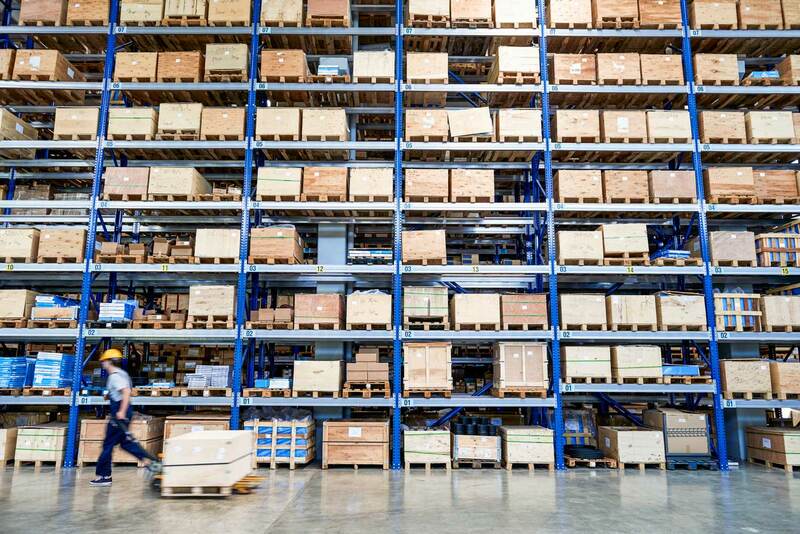 One of the bigger strategic changes covered this year at SuiteWorld was the move to decouple customizations from tenant data and move them into managed code. This seems like a smart improvement as NetSuite works to leverage already outstanding customizaton features to the next level. From a partner perspective what makes NetSuite tools so very exceptional is support to not only create value add extensions and customizatons but to package those into 'bundles' that can be built, tested, released, installed, managed, upgraded, or deinstalled --- evertyhing you expect an appstore to support but has NOT existed in any mainstream ERP. This latest round of updates look like they will help further accelerate developer efficiency for customers and partners alike. We met up with many customers and partners this year and it was great to see the excitement and interest from users running our latest version of Pacejet. We showed off across the board speed improvements in quoting, rate shopping, and shipping use cases. The new scan pack module was very well received as were new shipping use cases such as no-ui shipping and more advanced batch shipping methods. Some users were suprised at the major increases in carriers added to our carrier network. Bundle updates for improved usability and expanded EDI data were also well received. All in all it was fun to see user reactions and enthusiasm in a single, face-to-face event like this one. Another big theme this year at SuiteWorld was 'disruption', empowering businesses to disrupt their markets with new innovations and tools. This really resonated with team Pacejet as we talked with our users about opportunities for positive disruption in their shipping operations. As Pacejet has grown (tracking to manage over $200M in shipping services this year) we've seen more users make strategic and often aggressive moves to achieve great results. More users are changing carirers more often or adding new services to win new business. More users are using Pacejet to hold carriers accountable on pricing and services. More users are getting more comfortable shipping to retailers, homes, businesses, or new geographies all at the same time. SuiteWorld was a great event this year and Pacejet was pleased to sponsor and support NetSuite to help make it happen. It was exciting to see the event grow, see our user base grow, and just be a part of such an enthusiastic, forward-looking, high-energy community. Call or email if we didn't have time to meet up in San Jose or if you just couldn't make it to SuiteWorld this year. We'd love to catchup with you, update you on the latest innovations in Pacejet, and talk about what's happening in your business.